It’s that time again. Yup, it’s time to get out your credit cards and support the local economy with Fashion’s Night Out. Last year’s bash featured events in eighteen countries and more than 4,500 events in the U.S. This year participating retailers all have something special going on, which can range from cocktail parties, to live music, to celebrity appearances, to special discounts, to limited-edition products like the official 2012 FNO Tee. Michael Kors will be selling these exclusive limited edition products. Alexander McQueen has designed a special wrap scarf bracelet for the event. Lanvin will be selling a FNO iPad case featuring an original sketch of Alber Elbaz. The case comes in a special Fashion’s Night Out box. Select Madewell locations will feature sips, sweets, a braid bar, and special gift with $100 purchase. 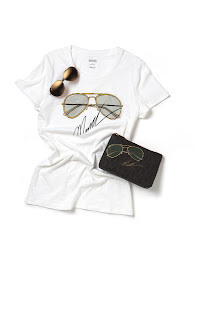 At Madison on West 3rd you’ll be able to customize your own LNA T-shirt. Neiman Marcus and Saks Fifth Avenue in Beverly Hills both have special parties planned. The Beverly Center will have sales, fashion shows, and celebrity guests. Including Lisa Love (West Coast Editor of Vogue), Actress/Singer (Lucy Hale), and model Kendell Jenner. Robertson Blvd will host a roped off street party complete with music by Mayer Hawthorne and a laser light show. 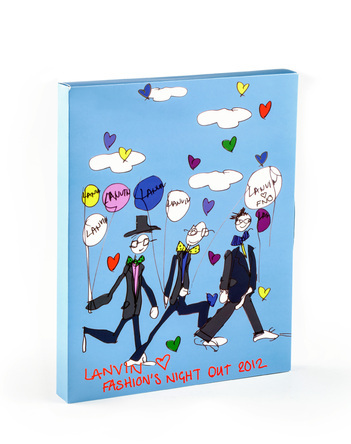 Participating retailers include Kitson, Christian Louboutin, and 3.1. Phillip Lim (which will be offering a “Kill The Night” comic book with purchase). Over on Melrose: Diane von Furstenberg will feature cocktails and a complimentary styling session. Helmut Lang will treat guests to live music, gourmet bites, and themed drinks. Vivienne Westwood will celebrate its special collaboration with Merino Wool by giving shoppers who spend $250 a free T-Shirt from the line.